Myanmar is changing. That's great for travelers. Myanmar used to be a dirty word in the travel business. Until two years ago, travel to this country, the western neighbor of Thailand, was strongly discouraged even by the government of Myanmar itself. Accused of human rights violations, it has one of the worst repressive governments through modern history. The good news is that things are changing. As with the Berlin Wall coming down, nothing happens overnight, but the wheels are in motion. That’s great for travelers who want to visit this exciting destination. The former country of Burma boasts one of the most amazing archaeological sites in the world. The 1,000-year-old temple complex of Bagan is the country’s crown jewel. The area contains over 3,000 temples, stupas and other Buddhist monuments spread across the plains. In spite of the political situation, intrepid travelers have been going there for years, and now that things have improved, the site has become much more accessible. Anyone with patience and a sense of adventure can go there. 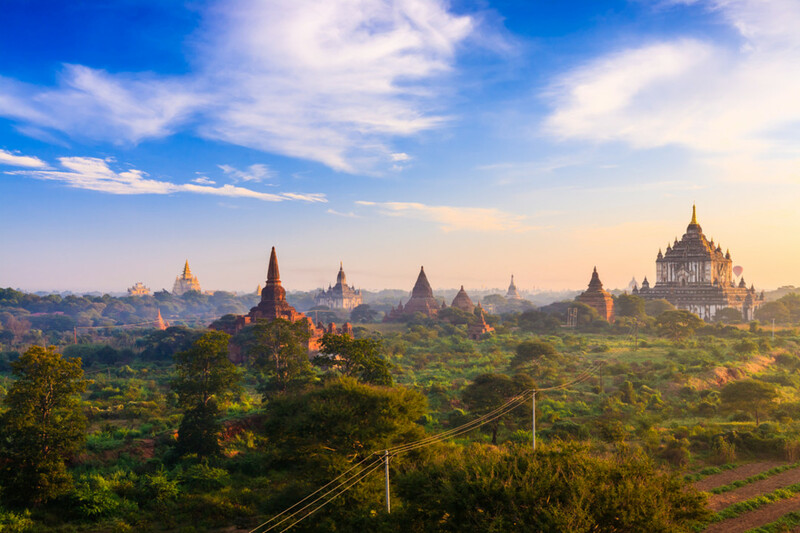 The easiest way to get to Bagan is by plane from Yangon or Mandalay. If you arrive in Mandalay expecting anything that resembles its namesake in Las Vegas, you’ll be disappointed. Both Yangon and Mandalay are full of gems, but 50 years of oppression has kept them from achieving the shiny, just-polished look their neighbor Thailand has. 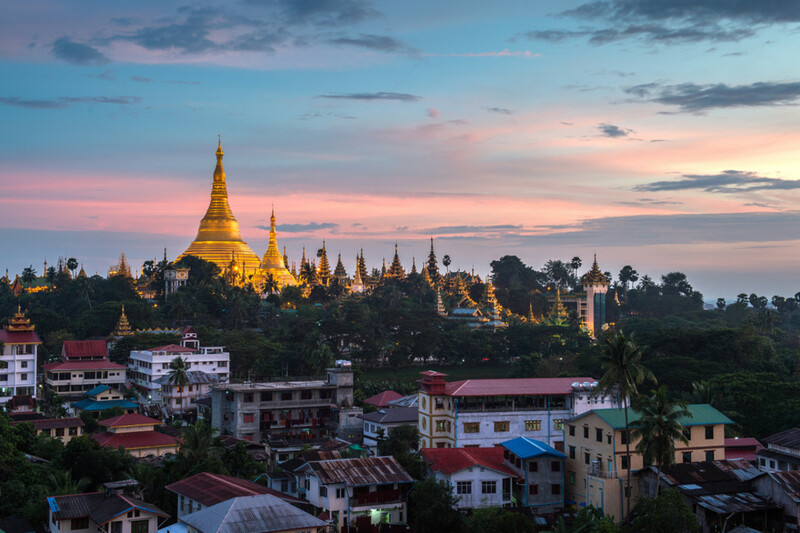 Yangon, also known as Rangoon, is the bigger of the two, with the most interesting sites, and it's closest to Bangkok, the city that most travelers use as a hub. The city is full of life, with vendors selling food and drinks on the sidewalks like a giant impromptu food court. And the temples are wondrous. The Schwedagon Pagoda is literally a city of gold. Even the most jaded temple trekker will be amazed by this complex. The Karaweik Palace and Inya Lake are stunning—one could spend a few days in this city discovering the hidden treasures scattered throughout the area. Because tourism is new to this part of the world, prices are low and hustlers are rare. On the negative side, you won’t find as many hotel choices, ATMs are a little scarce, and trying to change a foreign bill with the slightest tear or fold in it will be rejected by every money changer. If you’re seeking adventure, there is a night train that leaves Yangon every afternoon at 4 p.m. for Bagan. It’s cheap, rustic, and not like any other train ride you’ve probably ever taken. It goes through small villages and rattles back and forth like it doesn’t really fit the tracks. Worst-case scenario, the train is probably too slow to really hurt anyone even if it did come off the tracks. It’s supposed to arrive at its destination about 10 in the morning. My train arrived around midnight the next night! Apparently, such delays and breakdowns are part of the experience, so if you’re in a hurry, get out of a hurry, or take a plane. From Bagan, there’s a boat that goes up the river to Mandalay and takes about 10 hours, or you can catch a plane and be there in under one. Nothing moves fast in Myanmar if you’re relying on public transport. Bring a book and extra patience. Once you arrive in Bagan, the tourist infrastructure drastically improves. Well-heeled traveling have been tramping these plains for years, and the area has hot air balloon rides, reliable transport and great hotels. There’s several factors that make these ruins so amazing: the architecture, the murals, and the simple fact that there are so many of these ancient monuments clustered together. There’s no higher concentration of shrines anywhere in the world. Climbing to the top of one of the taller temples rewards the visitor with amazing panoramic views of temples as far as the eye can see. A hot air balloon ride is the best possible way to see this incredible site. Motorcycles and electric bikes can be rented throughout the town and make a great way to get around from site to site. Taxis and tour buses are also available for those who need their air-con. There's also no shortage of horses and carriages. It’s a little overwhelming once you get started visiting temples because there are so many, but with a minimal amount of research you can discover the highlights and see most of these in a day. One of the most interesting features of the temples is the hidden passageways in many of the buildings. They may not be really hidden, but they are easily overlooked and might be the only entrance to reaching the top of the temple. Trying to navigate them can feel a little like a Tomb Raider video game. Most travelers try to catch a sunrise and/or sunset from the top of one of the temples, when they're at their most photogenic. No matter when you arrive, there’s vendors at the steps selling everything from sand murals to wooden masks. Prices are reasonable if you’re willing to bargain, and the souvenirs are unique to Myanmar. And uniqueness is the reason you might want to visit this amazing up-and-coming destination. At the moment it’s mostly unspoiled by tourism, and boasts sites that no other place in the world can match.